Another bumper selection this week as First South West register their end of season changes for September. 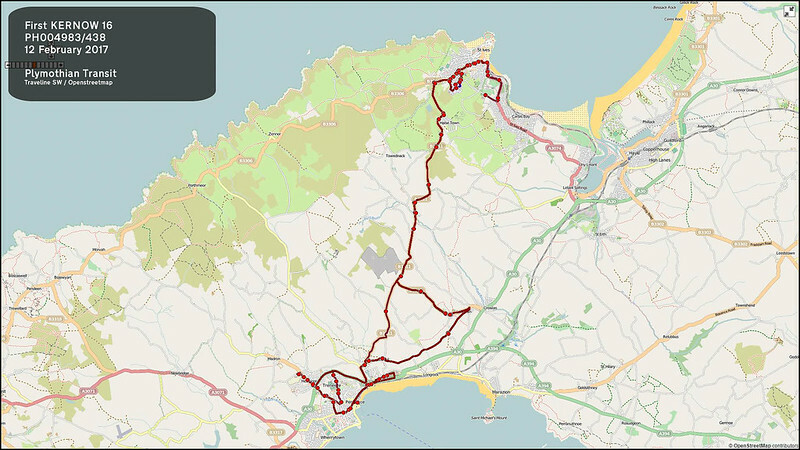 Other Details: To introduce a revised timetable following discussions with Cornwall Council. Sunday journeys are withdrawn for the Winter period. Other Details: To introduce revised Winter timetable. Other Details: To introduce a revised timetable with intermediate running times adjusted. Other Details: To introduce a revised timetable. "Other Details: To introduce a revised timetable. 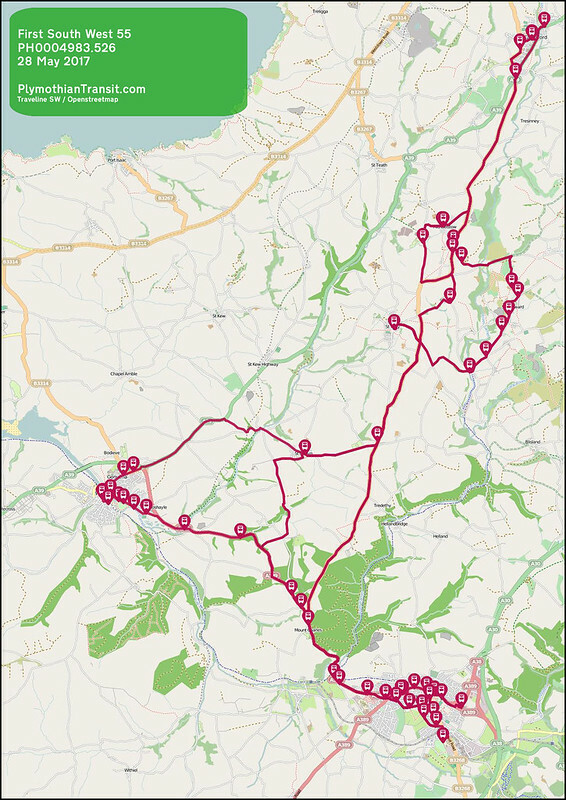 Journeys will not operate via Trescobeas Estate before 0900hrs and 1700hrs due to frequent delays caused by parked vehicles. 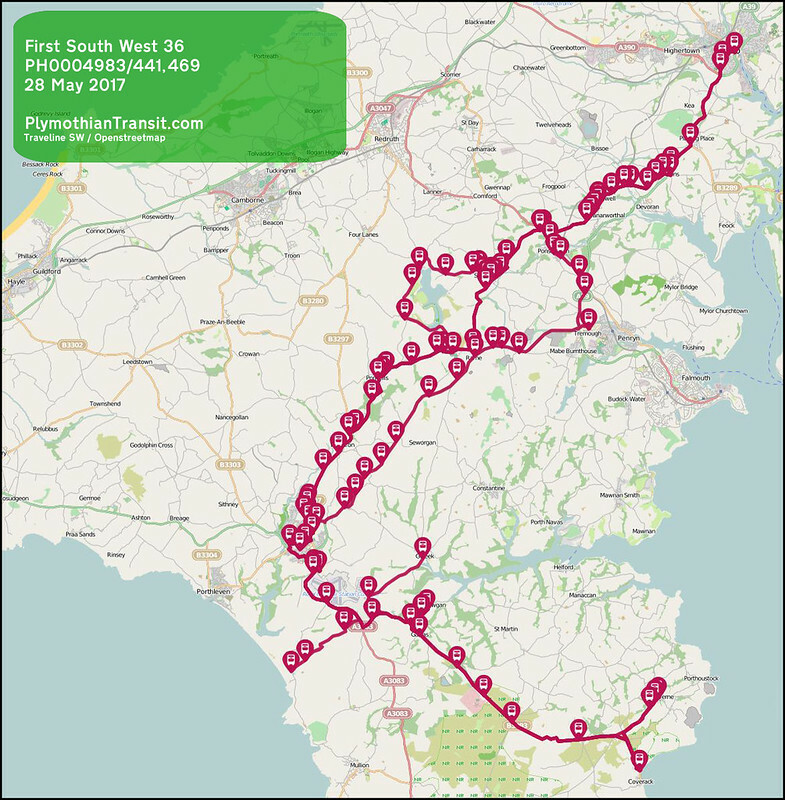 service 31a journeys from Falmouth to Helston to operate a clockwise loop in the Helston urban area to improve punctuality and reliability." Other Details: Winter timetables with some intermediate running times adjusted. Other Details: To introduce Winter timetables and to adjust some intermediate running times. 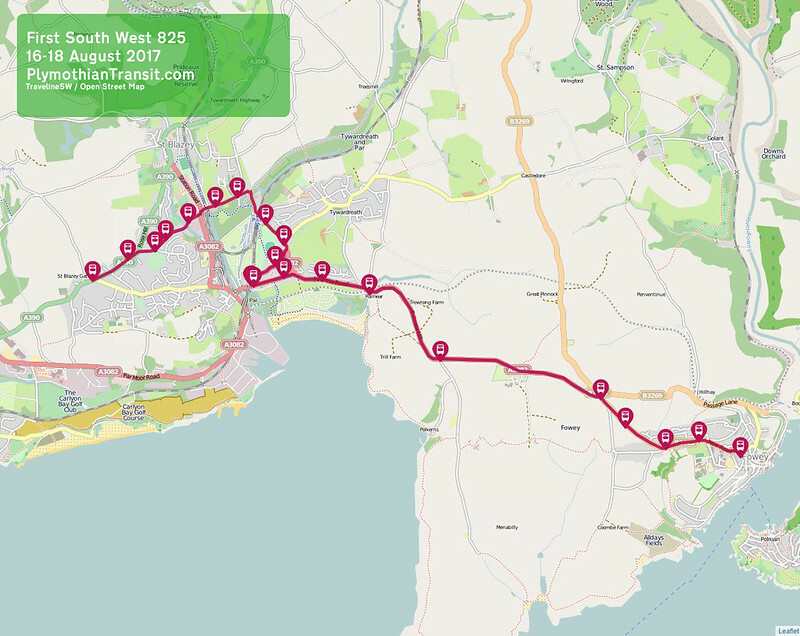 Other Details: To renumber the service to 38 and introduce a revised timetable with some intermediate running time adjustments. 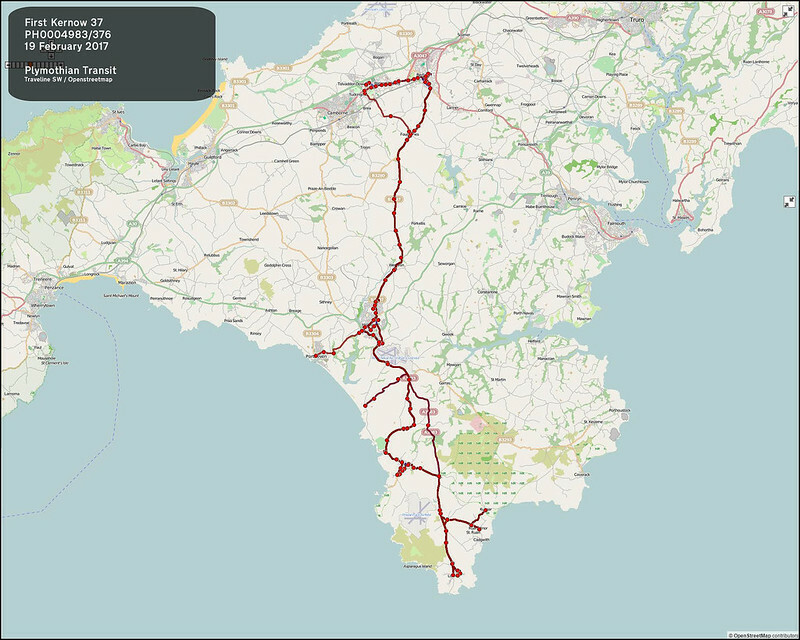 Other Details: To introduce a revised timetable with intermediate running times adjusted between Penzance and Relubbus. Other Details: To introduce a revised timetable. 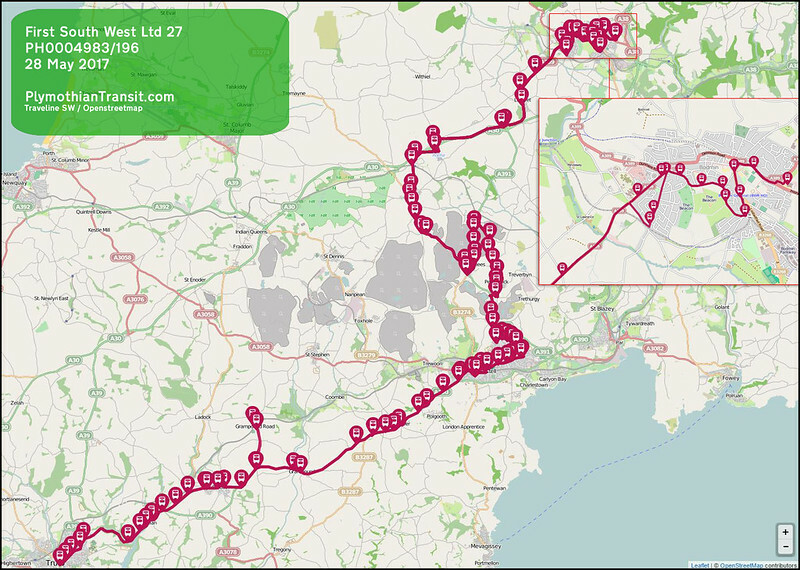 In consequence to update the route details. Other Details: To introduce a revised timetable. 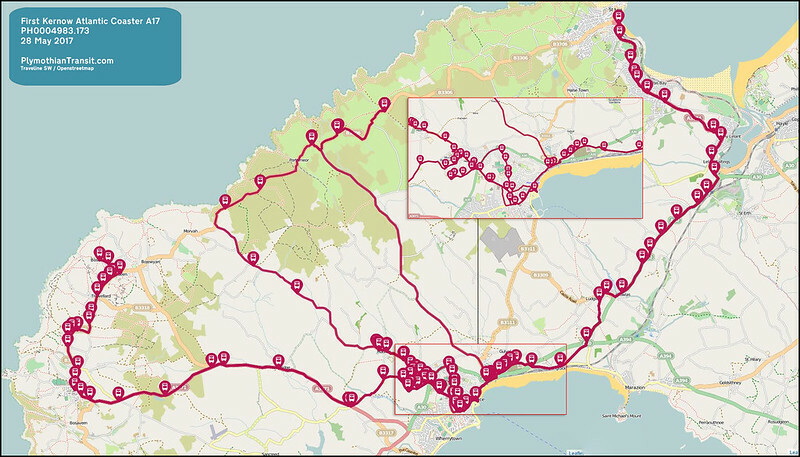 Certain journeys to operate via Redruth school, in consequence to update route details. "Other Details: Service 66 - revised to operate on Fridays only (this service will additionally operate on Thursday 29 March 2018. Services 68, 69, 69A and 69B slightly revised timetables." Other Details: To introduce winter timetable with adjusted running times. Other Details: To introduce a revised winter timetable. 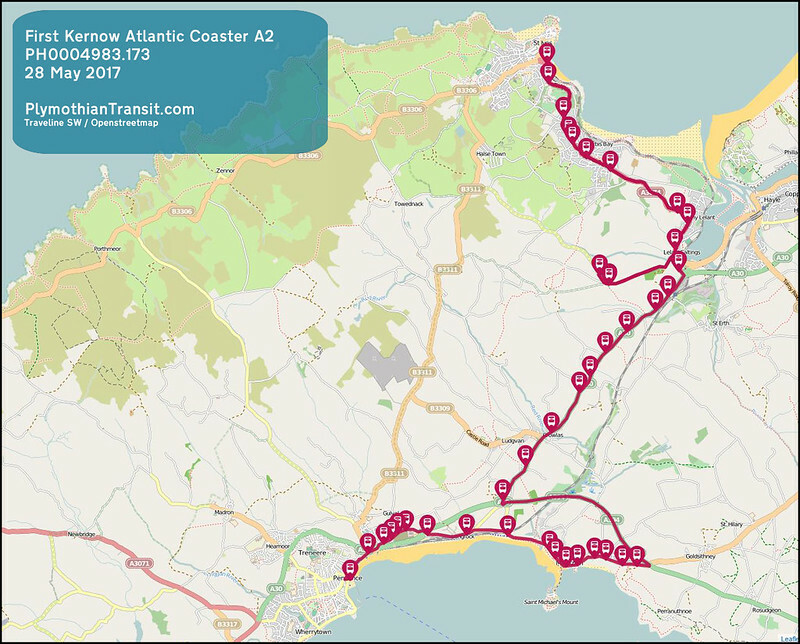 running times between Newquay and Trevellas have been adjusted. 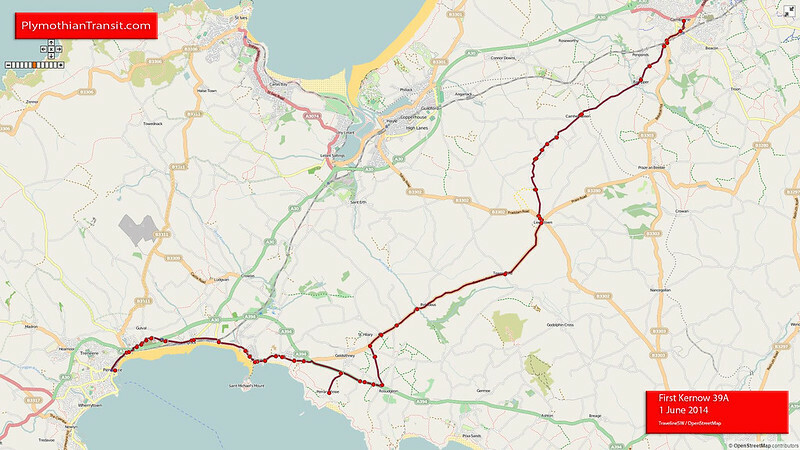 Certain journeys will no longer operate via Goonbell; in consequence to update the route details. Other Details: To introduce revised Winter timetables on service A17/ Service A2 is withdrawn for the Winter period. 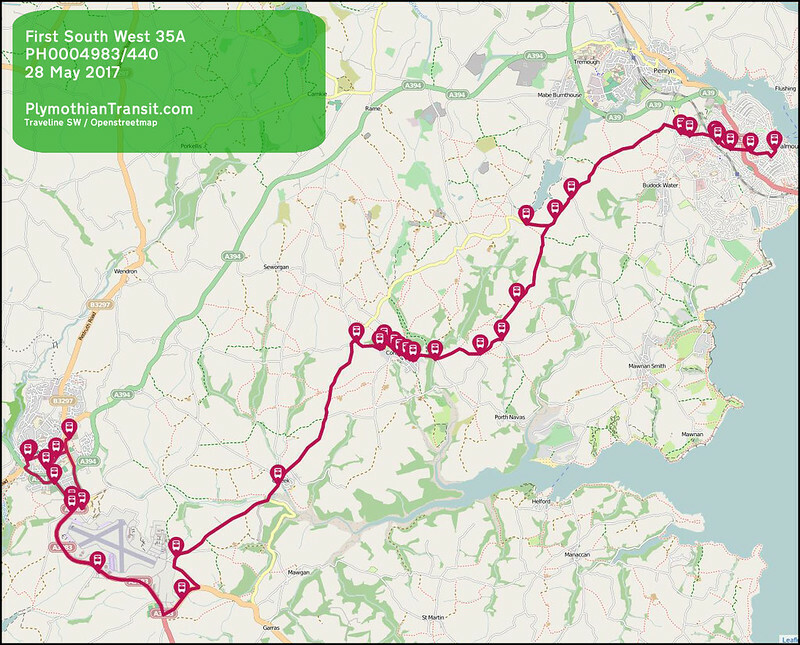 "Other Details: Introduce revised timetables and re-instate late night journeys during Penryn Uni terms with three journeys extended beyond Truro to Treliske. 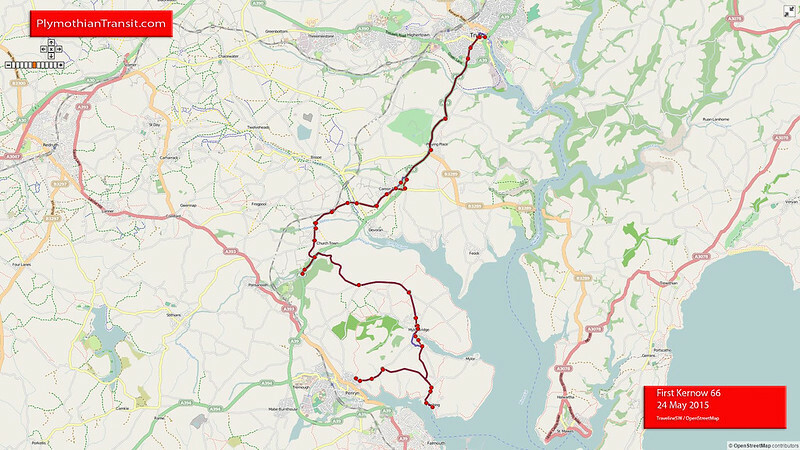 To introduce some additional Sunday evening journeys between Falmouth and Penryn Uni. 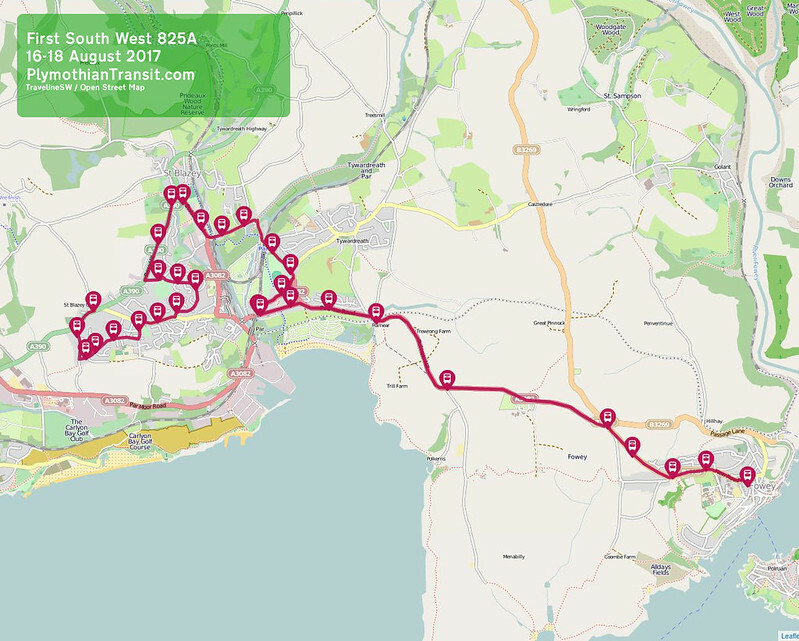 To update/amend route details. 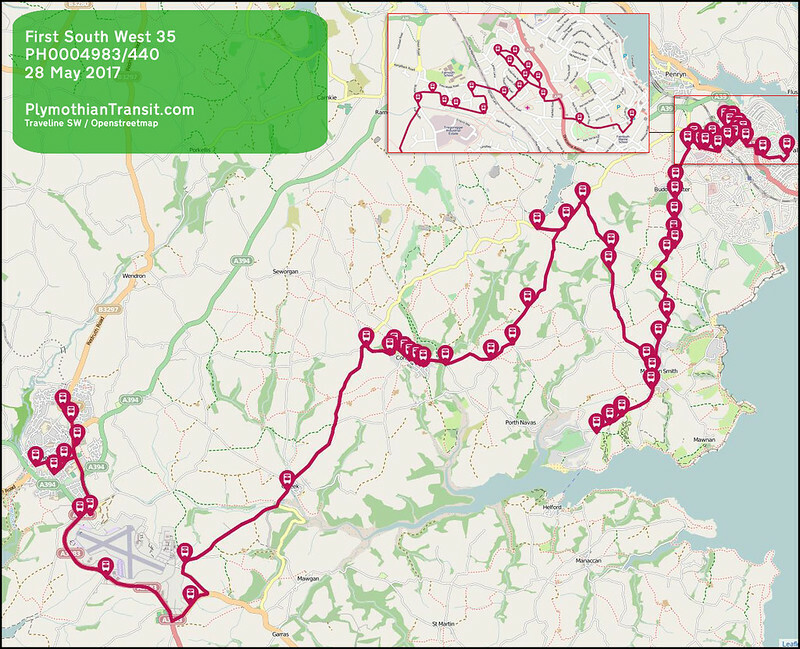 Service U3 re-introduced for Penryn Unii students." Other Details: To introduce revised schedules for Winter timetable period. Sunday and Public Holiday journeys have been reduced. "Other Details: Service re-numbered to U4. To redfine terminal points to Penryn campus Tremough to Penzance via Helston. "Other Details: Introduction of Winter timetable. Plus Summer timetable for 2018 begins operation 27 May 2018. Music Festival 29 September - 1 October 2017." Re the Fowey Regatta services, they are on Traveline but whether your average Regatta visitor uses that I know not. If you rummage around at the back of First Kernow's online timetables you'll find them there too, although unless you read the headings very carefully you might think that they ran all summer. 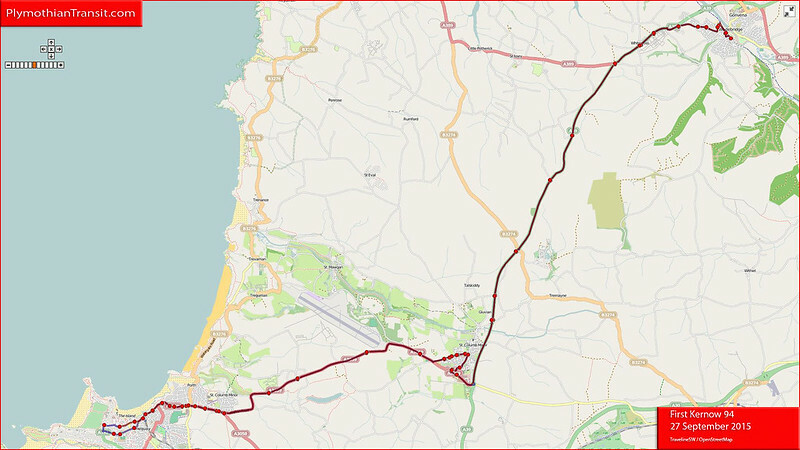 I'm sure that in previous years they were an item on First's news page, but that seems to have gone on holiday for the summer as the only item there is an out-of-date piece about the Bodmin roadworks.